Many clients come to us with all kinds of requirements and specifications for their materials handling needs. Andrews Automation Ltd make a point of listening to customers and look to tailor a conveyor system around the application, rather than trying to shoehorn in a standard ‘off-the-shelf- item’. 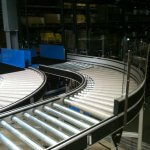 Many standard conveyors may do the job, but may not be as efficient as they perhaps need to be. 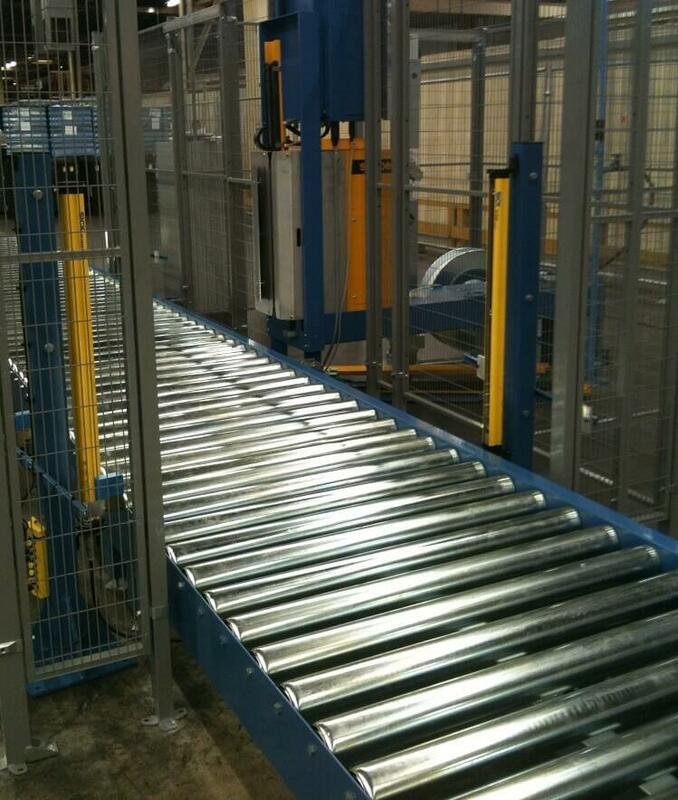 Our conveyor systems can be built to bespoke widths, lengths and heights. The speed of our conveyors can be fixed to customer requirements or can be built with variable speed drive integration. All conveyors from Andrews Automation can be tailored right down to the last detail…even the colour we paint it! Integrated conveyor systems are a speciality of Andrews Automation. We are able to combine conveyor systems with pallet strapping solutions, pallet wrapping systems, pallet lifts, turntables and pallet decanters. All integration controls are also designed in-house and our team of experienced mechanical and electrical engineers build system PLC’s in our electrical bay at our facility in Goole. We offer a multitude of pallet handling options with our conveyor systems. Our low cost non-powered options incorporates a heavy duty steel frame fitted with quality steel rollers and custom designed end stops and flip stops. Powered conveyors can be supplied as powered roller conveyors, usually chain or belt driven, although smaller systems can be powered by 24vDC rollers. 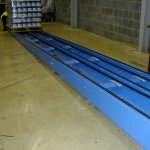 Chain conveyors are an excellent solution for transporting problematic loads such as stillages or Euro pallets. Simplex, duplex or even triplex chain systems can be designed to specification for even the most weighty of loads.